Brandon Eckardt, Motivational speaker and Leadership coach to both adults and youth who struggle to beat social ills such as gangsterism, drug addiction and prostitution. 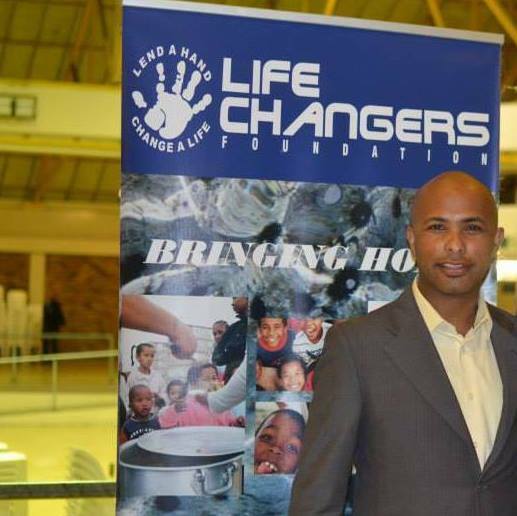 Co-Founder and CEO of Life Changers Foundation and a strong public figure known for combating the above mentioned social ills. Brandon is also well known in Church circles for teaching a very direct, simple, yet very seldom heard of style of the gospel. He is known to be sometimes very unorthodox in his teaching. Brandon comes with a strong Hebraic perspective that will set people free from strongholds that often keeps people bound through traditional thinking. He’s love for God and people from all walks of life are evident in the message he brings. It’s never easy being a youngster on the Cape Flats and Brandon is one of many who, faced countless unbeatable personal challenges, most of which sprouted from poor youthful decisions. In 2005 Brandon made a conscious decision to pursue a purpose-driven future. This life-changing decision has since birthed an organization that mainly serves the greater community of societies so called “social rejects” on the Cape Flats. Brandon, with the support and commitment of a team of volunteers, offer support to substance abusers, prostitutes, gangsters, troubled youth and their families. The organization has grown significantly since its inception and is recognized by private Institutions as well as government organizations and the justice department as a key contributor to the upliftment of communities in the Western Cape.